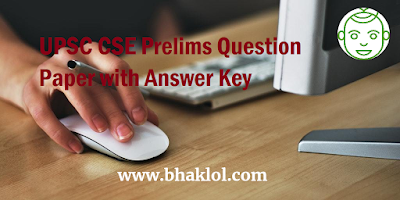 Dear Students, We are sharing UPSC CSE(Civil Services Examination) Prelims Question Paper with Answer Key from 2014 to 2018. UPSC CSE Prelims 2019 Written Examination is scheduled to be conducted on 02nd June 2019. Previous years papers will help you a lot to score good marks in the exam.